In this case study, students are given information regarding an advertisement claiming that listening to the classical music in the advertised CD set will enhance a person’s cognitive skills and creativity. Students evaluate the claims and the evidence cited to support them, and then determine how they themselves might independently verify the claims. 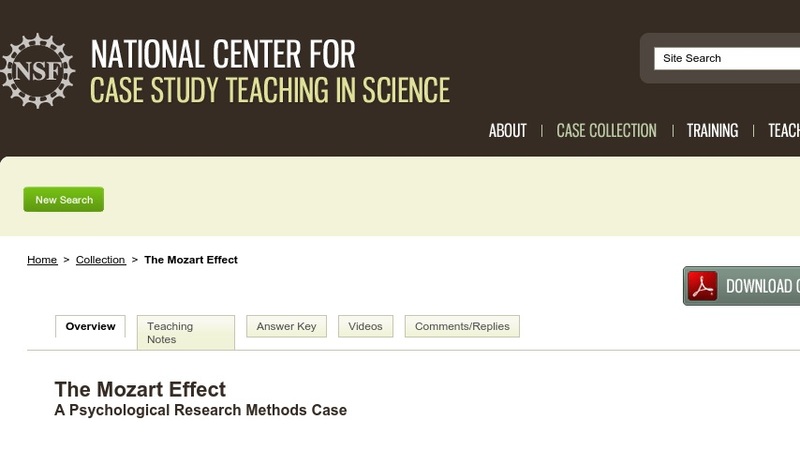 The case combines several approaches, including a directed case approach with the use of journal articles combined with lecture, individual assignments, and small group work. It was developed for a research methods course in psychology.